The local inhabitants used to plant and harvest wheat as a primary crop and traditionally milled the grain into flour which is why you can find the famed stone mills. 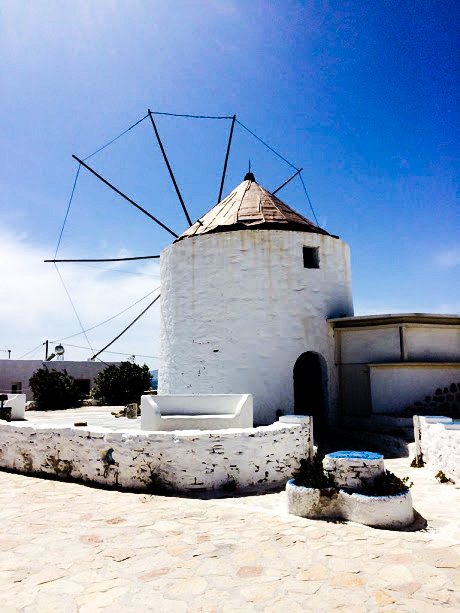 The first mill is found above the harbour, proudly erect, a host that genuinely welcomes its visitors to the island. 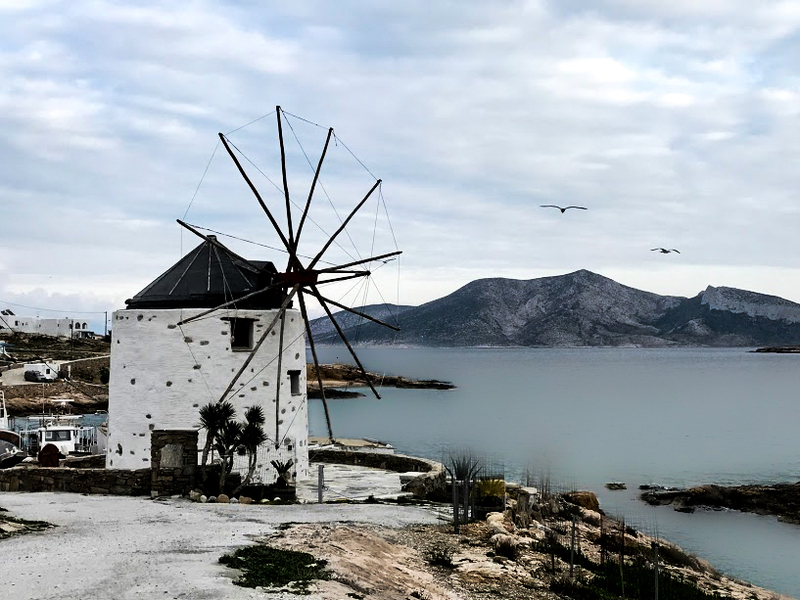 The second was built in Loutro, between the shipyard and cemetery. It dates back to 1830 and has been designated as a Novel Monument from the Pre-Industrial Era. Their function nowadays has evolved. 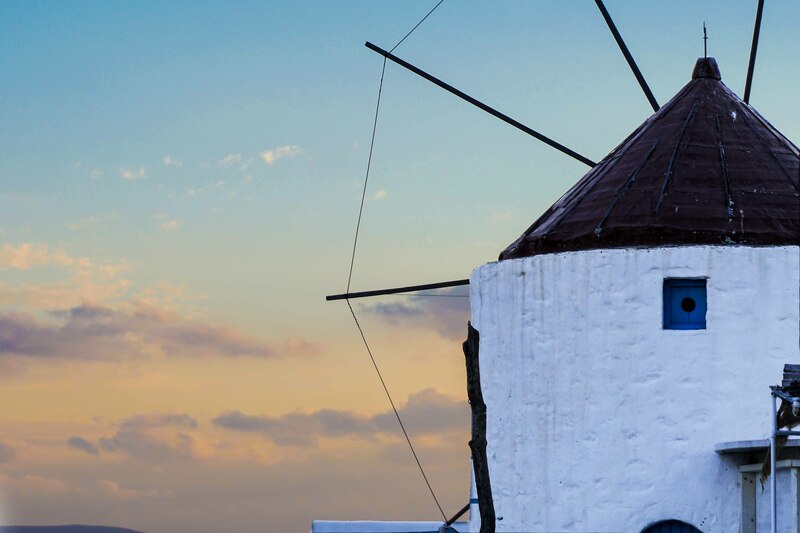 One of the two is a luxury accommodation for tourists and the other transforms the summer sunset into a spot of leisure where one can enjoy refreshments and a view that extends beyond the depths of the Aegean Sea.